Hi my name is Alison (Ali) and I’ve been asked to write a blog. To be honest I’m not really sure what a blog even is so I’ll do my best (or worst) first blog. So I might as well start from the very beginning. 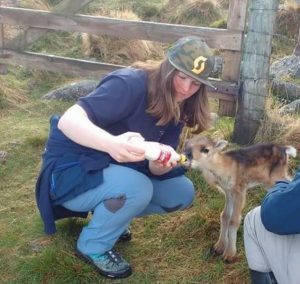 I am a new reindeer herder at the centre and I have never worked with animals before in my life. I gained my job apparently as I was good with people (the hard bit) and the reindeer bit I can easily learn. Reindeer are fascinating animals and I have certainly learnt a lot about them since my first close up encounter with them. 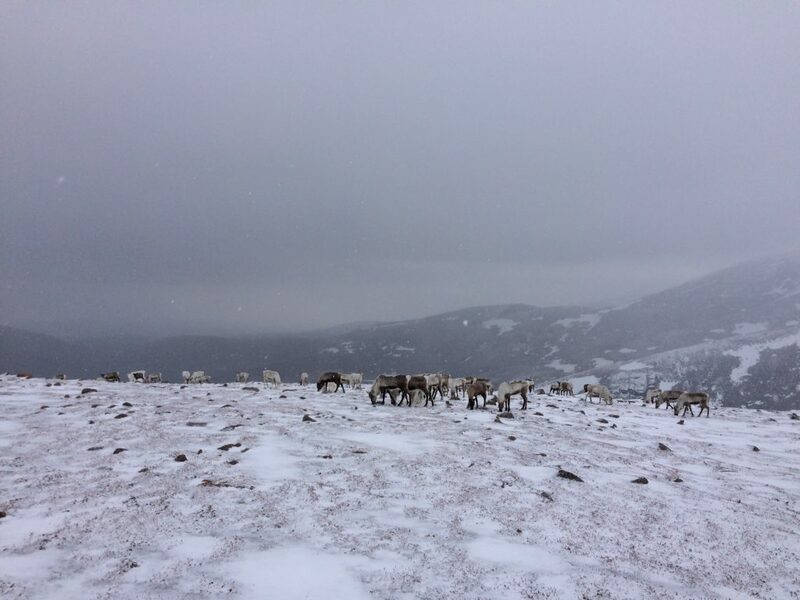 My interview involved trudging up a snowy mountain, thigh deep snow in places, looking for a herd of reindeer in the mist. What a magical moment finding the herd at the top of that hill. 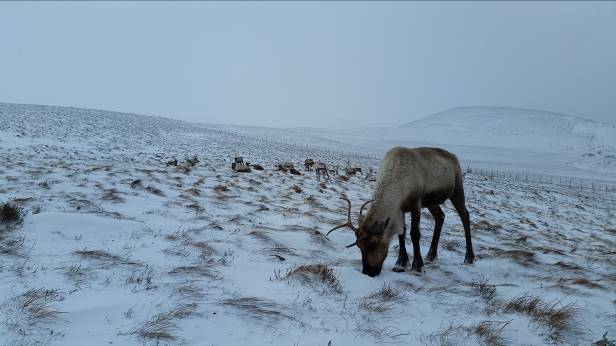 Not a bad sight for your first reindeer encounter! While herding them down we reached a large patch of snow, I was amazed to have 45+ reindeer charging past either side of me, it was as if it they were dancing in delight with legs moving in crazy directions. This happened each time we reached a large patch of snow. On one occasion one of the yearlings was so excited he started running in circles as the rest of the herd had confused expressions trying to decide if they should follow him or not. I remember thinking even if I don’t get the job this experience alone will be a fantastic memory that will stick with me forever. Luckily I got the job and have had many more tales to tell.